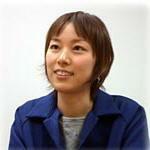 Asuka Hayazaki (早崎 あすか, Hayazaki Asuka) is a Japanese video game composer who has been working for Nintendo since 2004. She studied piano at an early age and is a huge fan of the Mario game series. One of her influences is Koji Kondo, and she was an assistant to Kazumi Totaka. She has done soundtracks to compose for the Mario and The Legend of Zelda series. Her maiden name is Ohta (太田, Ōta). 2.3 New Super Mario Bros. This page was last edited on October 6, 2018, at 13:53.